The residents of a Darwin suburb have worked together to break down cultural barriers after research by a Charles Darwin University PhD candidate brought together neighbours from all walks of life and ethnicities. CDU community development specialist Dr Gretchen Ennis has been a passionate community services practitioner for more than 10 years in the NT and was concerned that relationships between different cultural groups were being eroded, particularly after the Federal Government intervention. A long-term Ludmilla resident, Dr Ennis instigated “Ludmilla Neighbourhood Connections”, which brought together a diverse network of people and organisations to “create community” and increase connections across cultures. “I wanted to go back to the bare bones of relationship building, by encouraging people within the community to interact,” she said. Using the community participation concept of “Neighbourhood Networking”, the people of Ludmilla came together for events ranging from concerts to sports days. They also rediscovered the significant history of the area, working together to create a DVD that was distributed throughout the neighbourhood. As part of her PhD Dr Ennis measured connectedness by using a methodology called “social network analysis” at the beginning and end of 20 months of community activities. “I measured how many connections each person had with others in the network of participants,” she said. 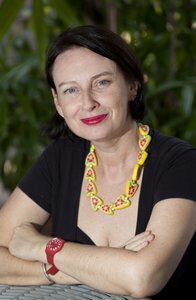 Dr Ennis will receive her PhD on Friday at CDU’s end of year graduation ceremony at the Darwin Convention Centre. Her thesis was entitled: “Neighbourhood Networking: A critical social work approach to ‘creating community’ in a culturally diverse setting”.